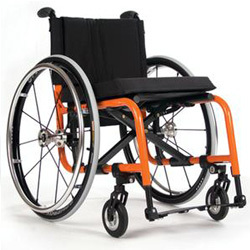 X4 one of the lightest folding wheelchairs available. The ProSPIN X4 is set up to provide maximum responsiveness and performance. Its unique axle plate and side frame design help create a flowing side view. 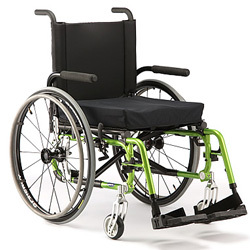 The ProSPIN X4 offers several features new to Invacare wheelchairs.